Betz White Patterns are designed by Betz White. 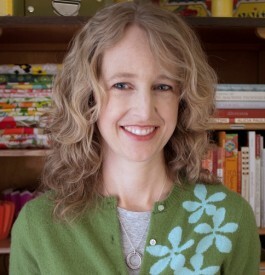 Betz is the author of two craft books, Warm Fuzzies and Sewing Green, and is working on her third. She has also designed an organic fabric collection for the Robert Kaufman company. Betz is a trained fashion designer and was an early proponent of green crafting and upcycling. 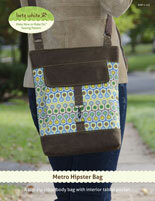 All of her Make New or Make Do™ sewing patterns can be made with either new or reused materials. Her Wildlife with Love™ patterns are created to raise awareness of endangered species and to support the National Wildlife Federation. Betz lives in Maryland with her husband and two sons.